EDI welcomes software developer Jon Ide to the EDI team. Jon has master’s degrees in Mathematics and Computer Science and is just completing a master’s in Biomedical Data Science. He’s new to the EDI world but has years of experience in software development and working with scientific data. Jon’s initial focus will be on supporting interoperability between EDI and DataONE by ensuring that data packages uploaded to the EDI data repository are discoverable and accessible through DataONE. He’s based in Madison, Wisconsin. The EDI Repository Data Package Manager and Audit Manager Application Programming Interfaces (APIs) facilitate automated data publication and science workflows. Thirty-six new R functions, supporting 60% of the available API calls, have been added to the EDIutils R library. The remainder will be added soon! Learn more about the functions and associated use cases at the EDIutils website. by the Ides of March (15 March 2019). We would welcome contributions in all areas of environmental information management including feature articles, Tech Tips, reviews of books or articles and commentaries. Databits is a newsletter, so articles don’t need to be long and complicated. Just interesting and informative! If you’d like to look at past issues of Databits, they can be found at: https://lternet.edu/?taxonomy=document-types&term=databits). EDI’s newsletter for December 2018 has been sent to our email subscribers. It can also be found here. 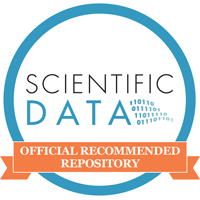 The EDI Repository API facilitates automated data processing and publication workflows, thereby enabling reproducible and efficient data package management. Four new R functions have been added to the EDIutils R library supporting package reservation (pkg_reserve_id.R), evaluation (pkg_evaluation.R), upload (pkg_upload.R), and update (pkg_update.R). The full suite of PASTA+ API calls from the R environment will be available soon!